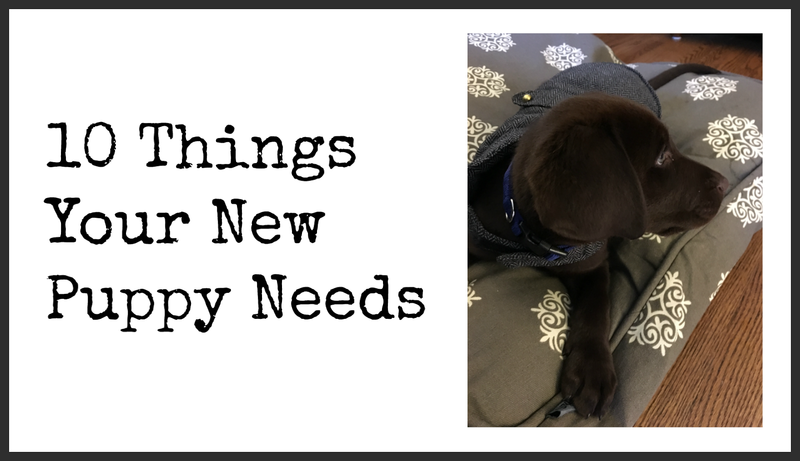 What does a new puppy need? 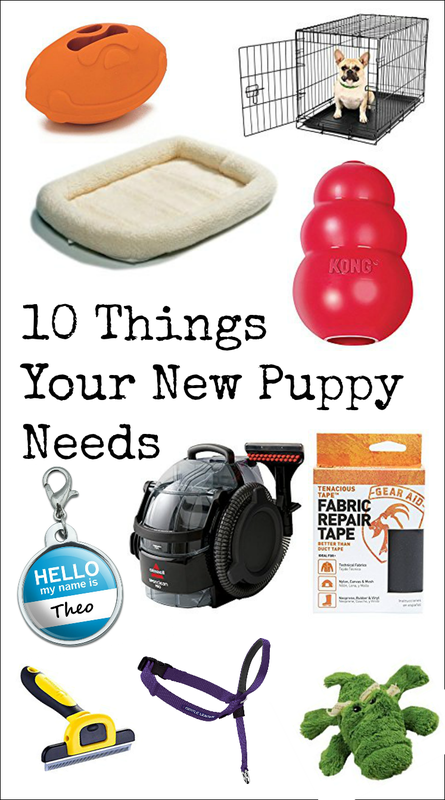 Here are our Top 10 suggestions for the latest in must-have puppy gear. Puppies need love, a clean bed, and tiny little morsels of dog food. 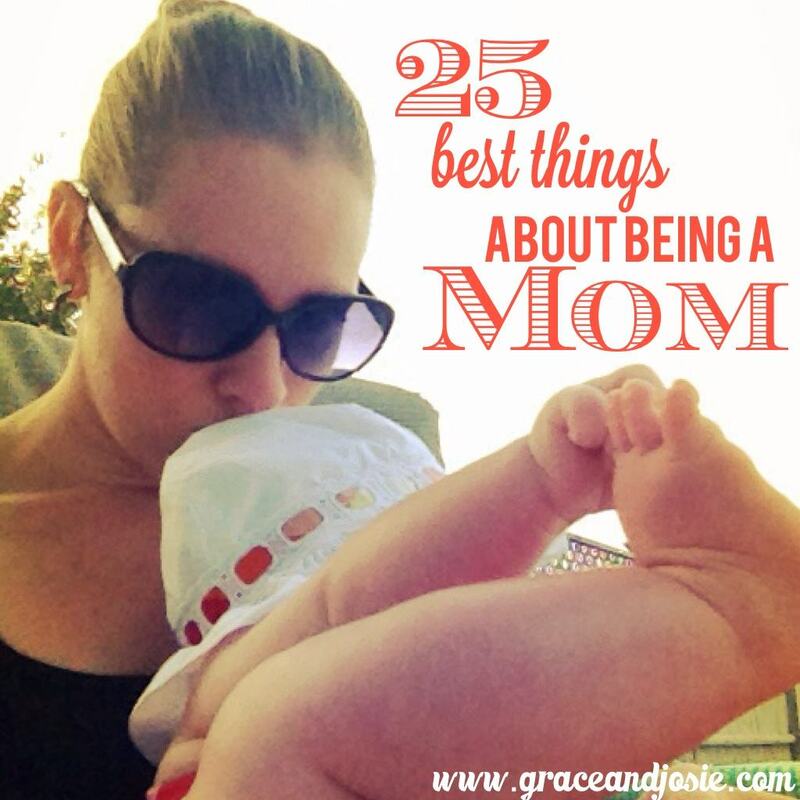 They also require a lot of other things that were completely foreign to us! 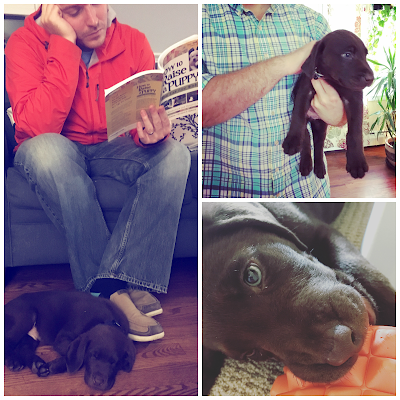 When my husband and I decided to get a puppy, we really didn't know what we were in for. Matt didn't grow up with dogs, and while I did, I had no idea what was really involved because apparently my poor mother bore the brunt of the dog duty. We brought home our little bundle of fur on the day before Halloween. Our daughter decided his name would be Theodore Barkley Carrier, and we agreed because honestly, it was adorable the way she said Feodore (still working on that tricky "th" sound.) Now six months old, our "little" Theo has acquired quite the collection of puppy gear and I'm happy to share it with you! Crate Training worked really well for us. Theo quickly outgrew his puppy crate (shown here) and now we have two giant crates, one for each floor. We stuff this bad boy with kibble and peanut butter (or sun butter) to keep him busy! Theo hasn't started shedding badly yet, but Spring is right around the corner so we're ready for it with this tool that came highly recommended from a Golden Retriever owner. In a house full of stuffies, Theo gets his own alligator. I have had to use this for a total of 4 rips in our down jackets now. It works like a charm. 7. Midwest Quiet Time Pet Bed (Fleece/24" x 18"). Washable, Bed, Heavy duty, Crate, Blanket, Chew. You'll need multiples of theses little fleece beds. Trust us. There is always one in the wash at our house. Stuff with treats and enjoy some peace and quiet. If you're having trouble with your puppy on a leash, we highly recommend the Gentle Leader. It was a huge help in getting him to not pull on the leash during walks! Um yeah. I wish we didn't have to include this carpet cleaner, but trust me. You will eventually need it. I'll spare you the details. Welcome to my first Monday Motivation! I need it, I'm sure you can use some too! 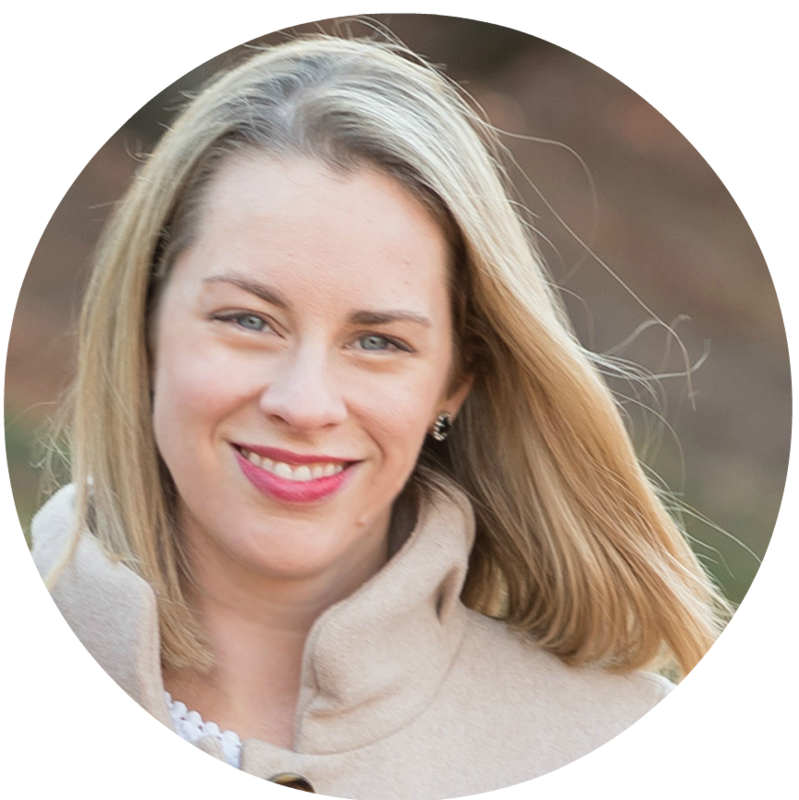 I've set up a board on Pinterest to collect all of my inspiration for a fresh start each week. 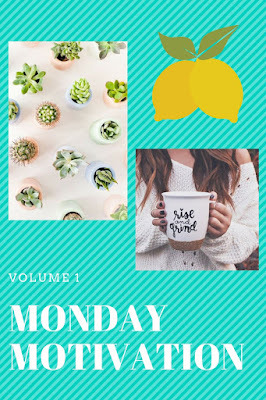 This week, the first Monday in March, has me craving green, citrus, and the burning desire to organize.